Well thanks to bluecoyote over on BROL I've solved my hydration problem. Although the bladder worked great I just didn't like the tube around my neck. Sometimes the solution is just too simple to see right off of the bat. It's easy to just reach back over my shoulder and grab the bottle and since the Camelback bottles don't leak when they're upside down it's even better. 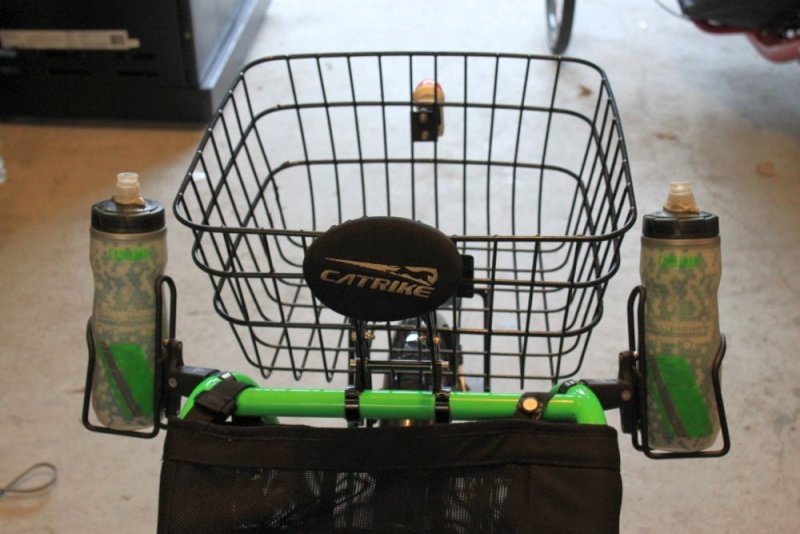 To top it all off the bottles even "lock" in underneath the rear rack! My favorite bottles by a long shot. Well, you guys have sold me: I've been looking at the Camelback bottles at the bike shop every time I've stopped by and wondered if they really worked. I've been using them for a while now. I like them way better than the Polar bottles. Thet're not nearly as stiff and keep things cold just as long. I realize that may not be long in Arizona but way better than non insulated. They've never leaked for me either. 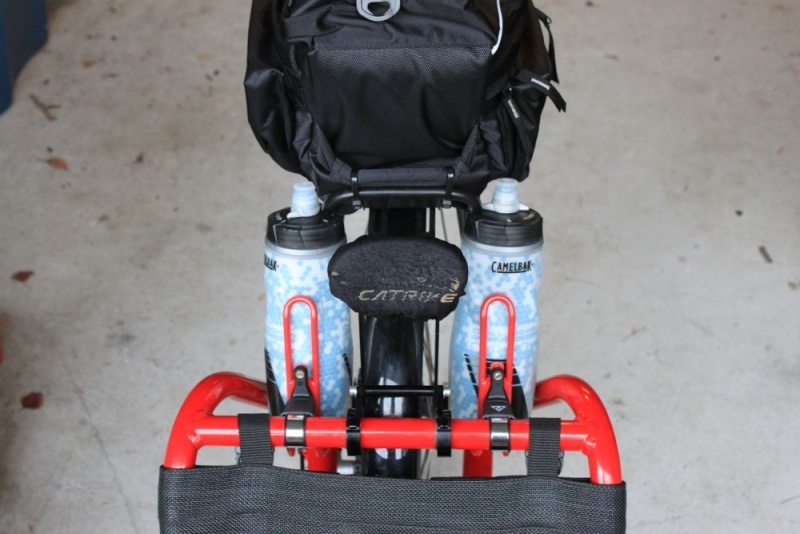 Red water bottle cages...YES!!! 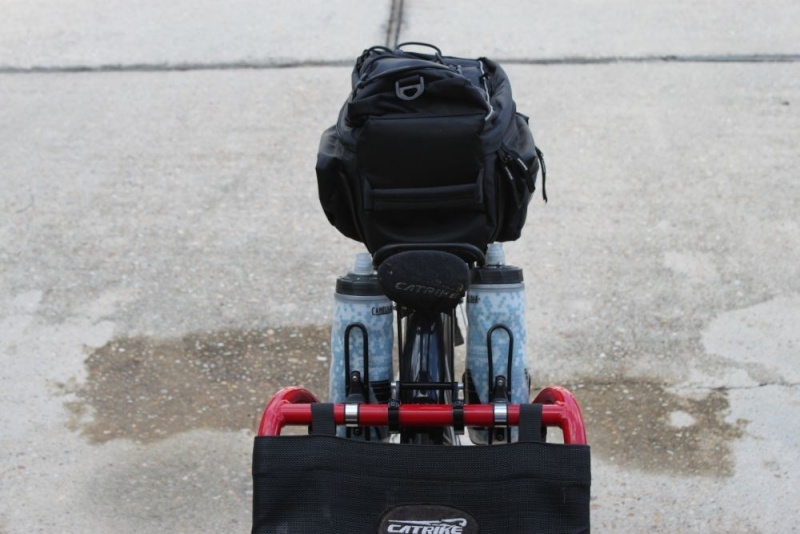 The mounts are the ones from Topeak and they work just great! Kathy really likes them too, plus, she gets to keep her basket which she likes even more!